VdB 111 is a reflection nebula visible in the constellation Ophiuchus. It is located in the northern part of the constellation, about 6.5 ° WNW direction from the star Cebalrai (β Ophiuchi). The cloud surrounds a sixth magnitude star HD 156697 (or V2112 Ophiuchi), of spectral class F1III / IV. The star in fact is slightly variable - a Delta Scuti type, oscillating just two tenths of a magnitude with a period of about two hours (0.1874 days). 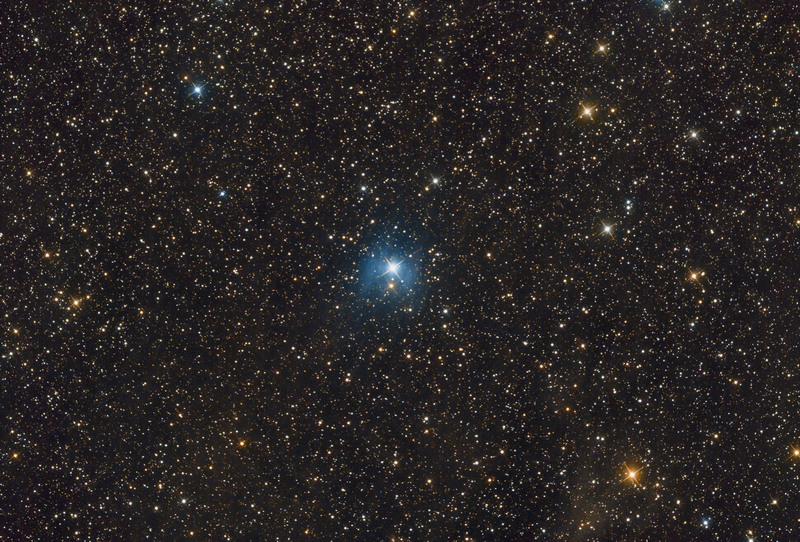 With a parallax of 7.17 mas, the distance of the star is reported to be about 140 parsecs (455 light-years), so the same distance to the nebulae Sh2-24 and Sh2-36.